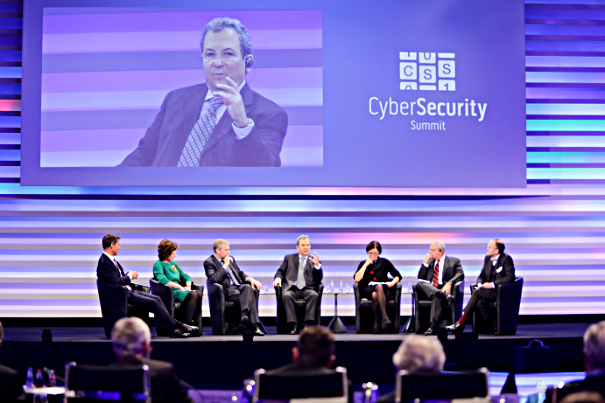 The second Cyber Security Summit on 11 November 2013 where 130 top managers from mayor German corporations and leading politicians from Germany, Austria and Switzerland gathered was partnered by the Centre of Strategy and High Leadership. Among the speakers and panellists were EU Commissioner Neelie Kroes, the former Prime Minister of Israel Ehud Barak (picture), Germany’s Federal Minister of Justice, Sabine Leutheusser-Schnarrenberger, Howard A. Schmidt, the former cyber security adviser to U.S. President Barack Obama, Johanna Mikl-Leitner, the Austrian Federal Minister for the Interior, the Deputy General Secretary of the OECD, Yves Leterme and Telekom-CEO René Obermann. Professor Schweinsberg chaired the conference. 24 Hours – Today. Tonight. Tomorrow. At the annual “24 Hours” conference top managers from all over the world met by invitation of René Obermann, CEO Deutsche Telekom. 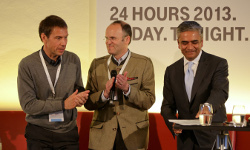 Among the guests was Anshu Jain, CO-CEO of Deutschen Bank. As in previous years Klaus Schweinsberg moderated the event. Klaus Schweinsberg shared the stage with Rüdiger Grube, CEO of Deutsche Bahn, at the DEUTSCHE BAHN AG Leadership Forum and spoke about „Leadership in Times of Uncertainty“. Strategy and leadership in an internationally oriented state-owned company was discussed in intense dialogue with the top management. 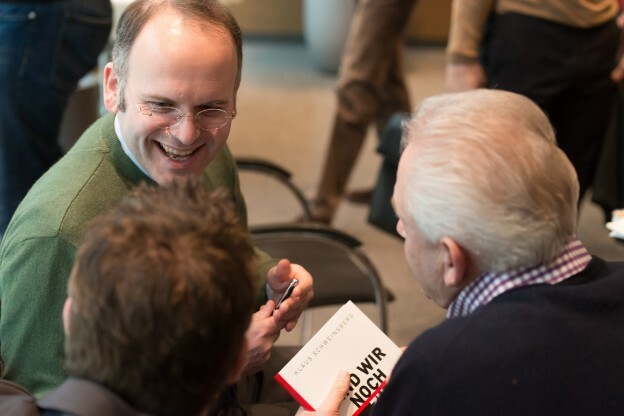 At the global management meeting of ALTANA AG, Professor Schweinsberg held a keynote speech and discussed with the top-mangers about virtues of Leadership, which work today and management-systems, which are of no use any more.